A three-year PhD-scholarship within aquaculture is vacant at the National Institute of Aquatic Resources, DTU Aqua, Section for Aquaculture located at North Sea Research Centre, Hirtshals, Denmark. The position is available from 1st December 2015 or according to mutual agreement. Deadline for application is 15th October 2015. The SANFEED Programme (Sustainable Animal Nutrition and Feeding) is a new Doctoral ANIMAL SCIENCE Programme in an INDUSTRIAL SETTING funded by the Portuguese Foundation for Science and Technology (FCT), coordinated by the Abel Salazar Institute for Biomedical Sciences at the University of Porto, and involving 10 industrial partners and 2 research centers. The next OrAqua project meeting will take place in Rotterdam on the 19 and 20 of October back to back with Aquaculture Europe 2015. The pikeperch workshop organized by the European Percid Fish Culture (EPFC) thematic group will be held just before Aquaculture Europe 2015. The four-day event will facilitate discussion and exchange of information between European Research Area members, specially the ones from Overseas Regions and Overseas Countries and territories on current aquaculture issues dealing with marine spatial planning, ecosystem interactions and aquaculture development in coastal areas. The EcoAqua Workshop on the Application of an Ecosystem Approach for the development of Sustainable Aquaculture in Overseas Regions and Overseas Countries and Territories will take place in Las Palmas from the 13 to the 16th of July. 2. Define Guidelines to foster the Development of Sustainable Aquaculture under an Ecosystem Approach. 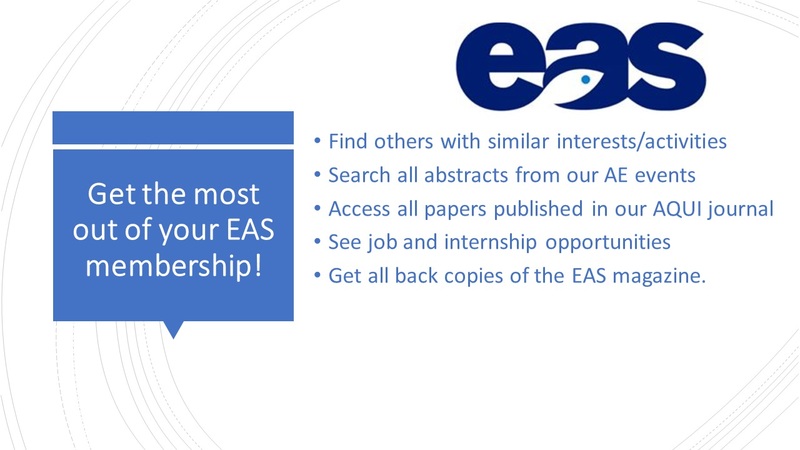 Its time to submit your abstract to our AE2015 event in Rotterdam in October. You can see the proposed list of sessions here and if you submit before the deadline of MAY 1 you will have more chance of having an oral presentation slot (if that is your preference). You can submit online here. The AE2014 is now available here. The document summarises the reports of the AE2014 Parallel Sessions as received by the session chairs. Information is also provided on the opening ceremony and the show cooking event organised on the opening day and the winners of the AE2014 Poster Awards, as designated by the Session Chairs and Programme co-chairs, as well as the winners of the AquaTT and Aqualex Multimedia Consortium Lindsay Laird Award and the EAS Student Group Ibrahim Okumus Award. NOFIMA reports show insufficient scientific basis for assertions on the interactions between farmed and wild salmon!